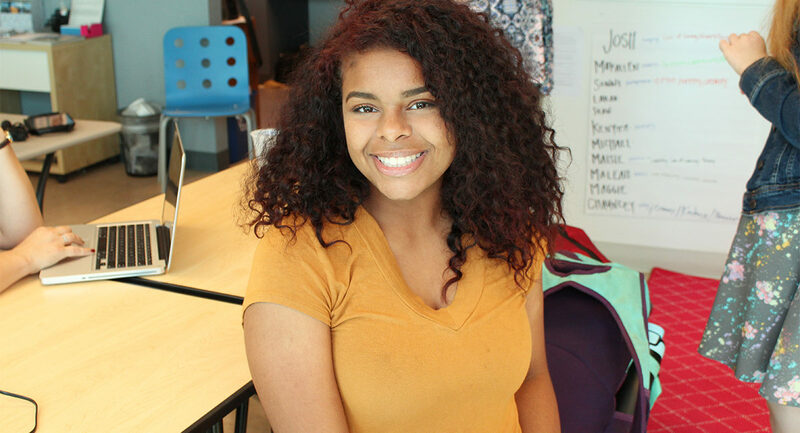 When Darryn Price was in the 10th grade, she didn’t expect to find out what she wanted to do with her life. She had signed up for Ridgeland High School’s broadcast journalism class simply because it seemed like a good option. But it was on a field trip with the class to the WLBT News Station that made her realize what she wanted to do with her life. Price stood in the off-camera area, entranced by the news anchor Jewell Hillery, who was sitting up tall and speaking confidently to the camera. More accurately, Hillery, an African American woman like Price, was the perfect image of skill, accomplishment, dedication and eloquence. She was an inspiration. The teenager had been the news anchor at her school, but watching Hillery in action completely altered her career plans. “We got to watch her actually be on TV. I was like, I feel like I could have that type of confidence and be able to get on TV and deliver news and information,” Price says. The sophomore had originally planned to just work with the background music for the broadcast journalism videos, but a few months into her first year, she ended up taking on the role of a news anchor. Now, about to begin her 12th-grade year, she is determined to attend either Mississippi State University or the University of Southern Mississippi and major in journalism. Price wants to stick to broadcasting, but she mentioned trying to heighten her status and start her own talk show. If she hosts her own talk show, it won’t be outrageously different from her originally planned career. “I don’t want to talk about drama,” she says. Although she is starting both cheer and choir this school year, Price made it clear that journalism will remain her priority. With her parents and two brothers supporting her, Darryn Price is determined to reach for the stars.